Lucy has been dancing at JC Dance since 2012 and attends Modern and Tap classes, she recently took her Grade 3 Modern exam. Lucy has been awarded Student in the Spotlight for December because she is so consistent! Lucy has excellent attendance, is always in correct uniform for class, works hard and pushes herself, practices at home and is always in a good mood in class! 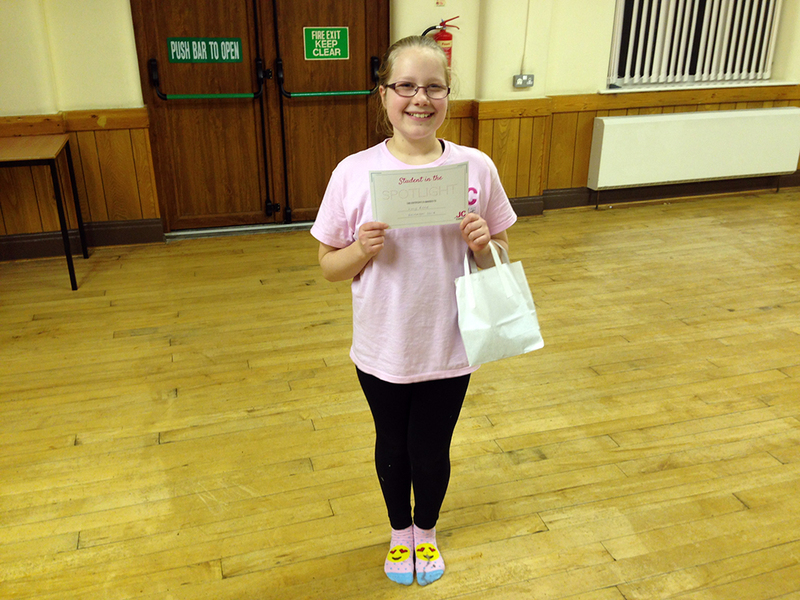 Here she is with her certificate, and winners t shirt… Well done Lucy!